Watch Bianca make history at the 2017 World Championships! 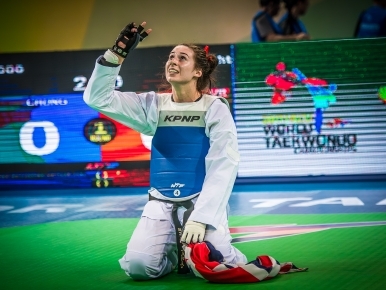 Heavyweight fighter, Bianca Walkden has had quite the impressive medal tally over the years and is best known for becoming the first GB athlete to win the World Championships twice consecutively. Bianca’s win in 2015 was considered quite the victory, as she had recovered from a recent knee surgery, not to mention, she also secured herself first place on the podium at the European Championships in 2014 and 2016. 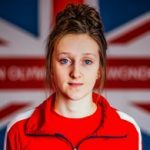 Liverpool-born Bianca started her Taekwondo career at 11 when she attended a local club with her best friend and began her junior career at 15 when she gained a bronze medal at the Junior European Championships, which was then swiftly followed by a remarkable silver at the Junior World Championships the next year. In 2016, Bianca qualified for the Olympic Games in Rio De Janerio and added a bronze to her collection. 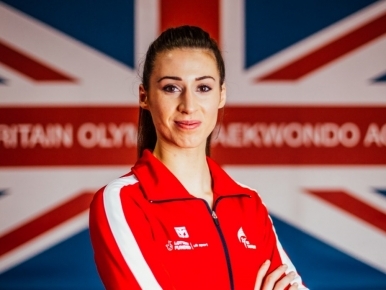 Bianca has continued to dominate her division and made history once again, by completing the World Taekwondo Grand Prix series in 2017 by attaining gold medals throughout. More recently, she competed at the inaugural Grand Slam tournament and went on to secure herself a gold medal. I was 11. I went out with my friend, Becky, to the Liverpool Elite club. She eventually quit, I didn't. I got involved with every sport; but I really enjoyed dancing and tennis. It's so dynamic. There are unexpected elements. It's not a boring sport. I would make sure I got that Olympic gold and then just spend, spend spend...I would blow it. I'm not going to lie. Can burp on demand! Can't stay still for five minutes. Never shut up.